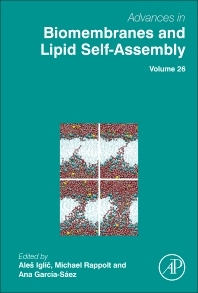 Advances in Biomembranes and Lipid Self-Assembly, Volume 26, formerly titled Advances in Planar Lipid Bilayers and Liposomes, provides a global platform for a broad community of experimental and theoretical researchers studying cell membranes, lipid model membranes, and lipid self-assemblies from the micro- to the nanoscale. Chapters in this new release include sections on the Applicative use of electroporation models: from the molecular to the tissue level, Tubular membrane structures, Trends in Big Data Technologies, Biomedical application of TiO2+Gd nanostructures, and The metamorphic transformation of a water-soluble monomeric protein into an oligomeric transmembrane pore. An assortment of chapters in this volume represents both original research as well as comprehensive reviews written by world leading experts and young researchers. Aleš Iglič received his B.Sc. and Ph.D. degrees in physics and M.Sc. degree in biophysics from the Department of Physics, and the Ph.D. degree in electrical engineering from the Faculty of Electrical Engineering, all from the University of Ljubljana. He is a Full Professor and the Head of Laboratory of Biophysics of the Faculty of Electrical Engineering at University of Ljubljana. His main research interests are in electrostatics, mechanics and statistical physics of lipid nanostructures and biological membranes. He is devoted to higher education, basic research in biophysics and close contacts to clinical practice. Prof. Iglič was visiting scientist and professor at Åbo Academy University in Turku (Finland), Friedrich Schiller University in Jena (Germany) and Czech Technical University in Prague (Czech Republic). He established collaborations with researchers from different universities across the Europe, USA and India and was supervisor of many M.Sc., Ph.D. and postdoctoral students from Slovenia, Czech Republic, Poland, Iran, Bulgaria, Germany, India and Israel. Since 2009 is the editor of Elsevier book series »Advances in Planar Lipid Bilayers and Liposomes« (APLBL). Ana Garcia-Saez gained her PhD at the Department of Biochemistry and Molecular Biology, University of Valencia, Spain in 2005, and then worked as a Post-doc at BioTec, TU Dresden, Germany. Since 2013, she has been working as a professor at the Interfaculty Institute for Biochemistry (IFIB), Universität Tübingen, Germany. Since 2010, Ana was also the Max Planck Research Group’s Leader and the Deutsches Krebsforschungzentrum (DKFZ) Junior Group’s Leader at Bioquant, Heidelberg, Germany, from 2010 to 2013, and has been a Young Investigator as part of the EMBO Young Investigator Programme since 2017. Ana Garcia-Saez’s research areas include Cell Death & Biophysics, Molecular and Cellular Biology, and Biochemistry & Advanced Microscopy. Though she is also involved in and takes an active interest in Membrane organization, apoptosis regulation, Bcl-2 proteins, membrane dynamics, biophysics, and single molecule techniques. She has received numerous fellowships and awards, including the European Research Council (ERC) Starting Grant, the Max-Planck Gesellschaft Postdoctoral scholarship, and the Marie Curie Intra European fellowship, among others, and has been widely published in the field of membrane biochemistry. 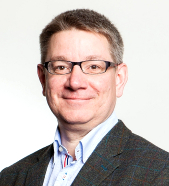 Michael Rappolt has been appointed as Professor of Lipid Biophysics (School of Food Science and Nutrition) in April 2013. He received his MSc and PhD in physics from the University of Hamburg and achieved his habilitation at the University of Ljubljana in the Faculty of Health Sciences. He was Senior Researcher at the Synchrotron Trieste Outstation (Italy), Institute of Biophysics and Nanosystems Research (Austrian Academy of Sciences), before becoming Assistant Professor at Graz University of Technology. 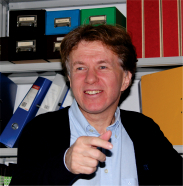 Professor Michael Rappolt is a leading authority on investigating the structure and dynamics of lipid membranes using small-angle X-ray scattering. His recent research activities have concentrated on the study of drug/membrane interactions with potential applications to drug delivery and food. Further research topics concentrate on characterising crystallization processes in food, the investigation of colloid interfaces and the determination of particle structures on the nanoscale. He also seeks to transfer standard measurement techniques applied in food research – such as mechanic (sound and shear) and thermodynamic sample manipulations to synchrotron sites – to understand food on a smaller (nanometre) and faster (microsecond) scale.